Short run customer component machined and completed at United. and wire EDM'ed by United. 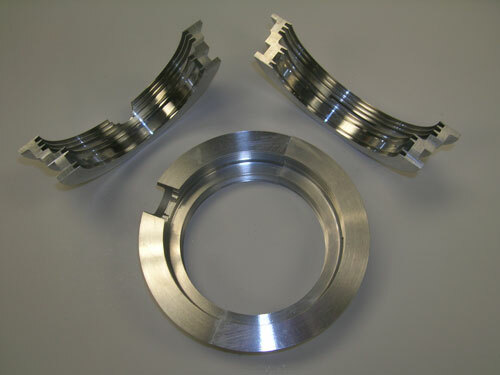 We offer EDM Machining for complex shapes or parts. 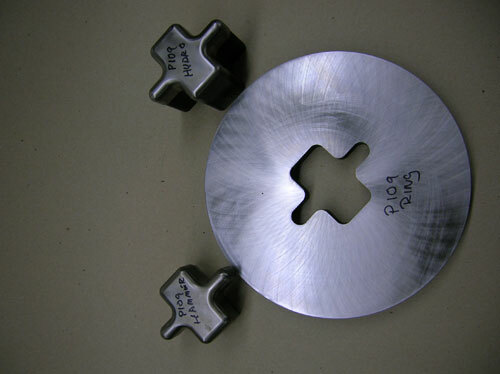 United Industries can cut complex angles, contours and cavities in hard or exotic metals. United Industries has over 35 years of Sinker EDM and Wire EDM experience. Our innovative methods of electrode production and custom application of EDM technology make us the choice for your EDM needs. Sinker EDM uses a graphite electrode and work piece submerged in dielectric oil. It is used to achieve any 3D shape. Sinker EDM is excellent for machining complex shapes or parts with, sharp corners, thin walls, and intricate details. Wire EDM uses a thin single strand brass wire for cutting conductive materials. Wire EDM can be used to cut hard metals that are difficult to cut with other techniques. Wire EDM is capable of producing extremely close tolerances for complex shapes, parts, and molds. Small shapes can be cut with extreme precision.